So it’s been a year and a half since I posted. In that time, we did a huge remodel of our home, living in rentals for nearly a year. I have also started a FT job again, giving up the freedom of consulting for a steady paycheck and the daily camaraderie (seriously, as introverted as I am, I did miss working with smart, talented people). Last time I was playing League, I was choosing the shorter and faster-paced ARAM matches. 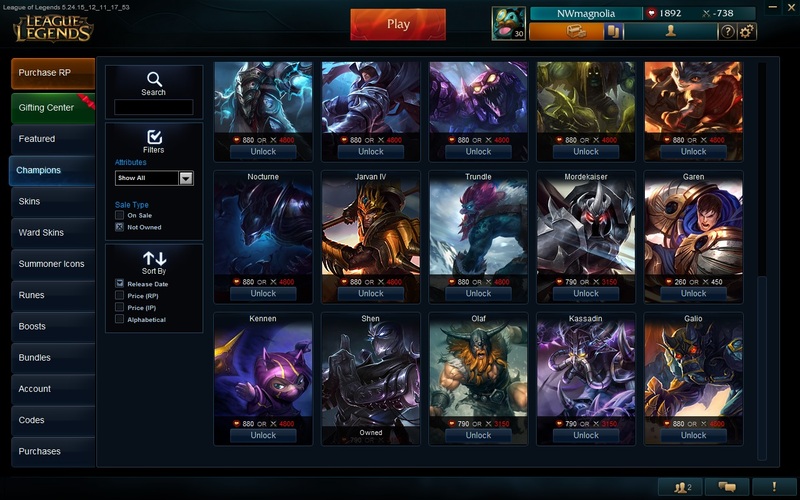 As I’ve gotten back into playing League, I am playing a lot of Draft pick on Summoner’s Rift. I love the new Draft pick system, with the ability to declare one’s role in advance and each player choosing their own ban. A much smoother and much friendlier process. I have also noticed that the amount of toxic talk in chat is way, way down in that context. Nice to be able to play casually and make mistakes without aggressive, in-your-face chat comments. I was playing a great deal of support but because I don’t have a regular partner to go bot with me, it’s a crap shoot as to whether my carry will do well enough that I, too, can do well. I’m going to start working on my mid lane play and see how that goes. It had been months since I played League, opting instead to spend most of my gaming hours playing Hearthstone. But in the last couple of weeks, I have been logging back on and enjoying. Because I have been playing more Classic, I was checking my support roster and decided to give Shen a try. I purchased him with a backlog of IP, and check out what I saw after making that purchase?? Yup, I had a negative IP balance (even though in reality I had a little over 2K IP left). Once I logged out and back in, all was fixed, but it was too funny not to take a screen shot. 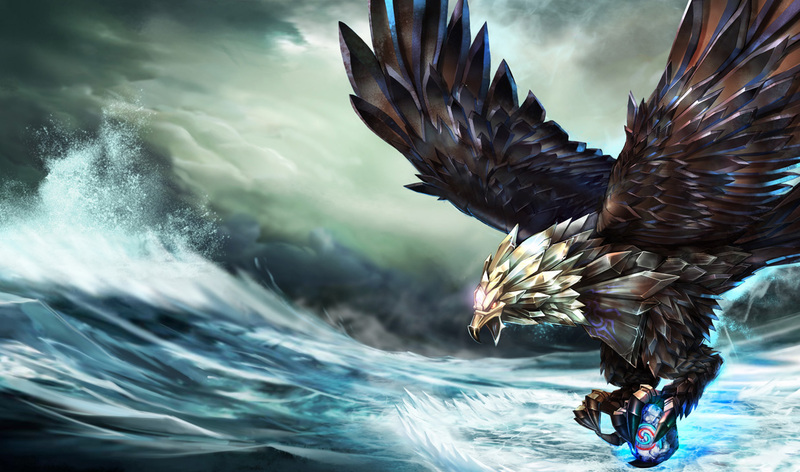 Anivia can be absolutely killer in ARAM. She is one of my favorite AP champions in ARAM, and I love when I roll her. Her passive, Rebirth, is actually quite useful, given that you cannot recall to your platform and heal in ARAM. I almost always manage to revive post my first Rebirth, assuming I’ve died at a relatively low level; though subsequent Rebirth successes depend highly on team composition and play. I would guess that I actually survive (to revive) about half the time Rebirth proc’s in ARAM. Her E, Frostbite, does double damage anytime an enemy is slowed by either her W, Flashfrost, or her ultimate, Glacial Storm. With so many champions in easy range and two different slow spells, you can net the double damage on a consistent basis. Protecting towers – Few champs want to endure the driving snow to get to the tower. The combo of tower aggro plus Anivia’s AOE ultimate can be devastating. When enemy teams try to engage – When two or more enemy champions have committed to an attack on an ally, you can punish their aggressiveness and usually net kills or assists. Clearing minion waves – A great way to quickly clear out minions prior to a tower push or whenever needed, and you can reduce the overall mana cost by quickly toggling it off. Anivia’s W can also stun, but it is a skill shot. While it is relatively easy to target an enemy for the damage and slow, you must activate it again at just the right moment to stun (unless, of course, you can perfectly gauge the distance to the enemy champ such that the spell reaches maximum range and the enemy champ at the same time). Super nice when you get the stun but it does require quite a bit of finesse in many situations to land it. I snagged my second diamond badge for towers in ARAM some time ago, but my burning question is whether I’ll net three diamonds with two more wins at 501, or am I actually 102 more wins away for that third diamond??? Poor Urgot. Truly the ugliest champion in the entire League and according to LOLKing, one of the most unpopular as well. 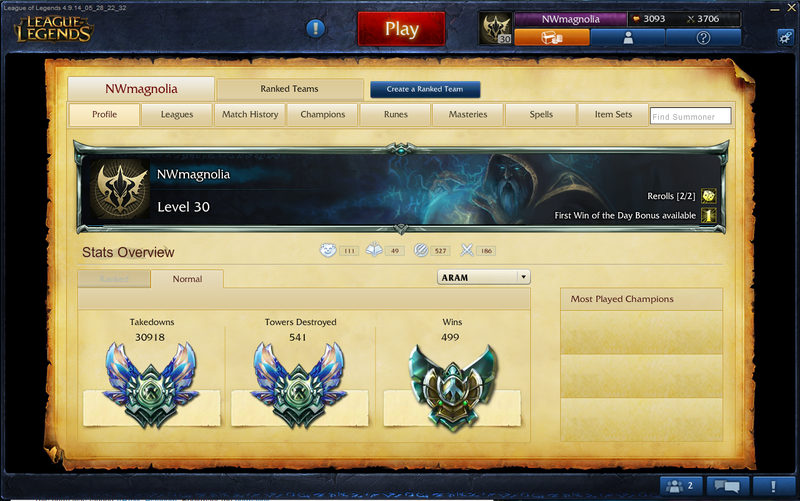 All that being said, he is an awesome champ to roll in ARAM. I have no idea if he would play as well in Classic, something I will have to test out. Why is he such a boss in ARAM? 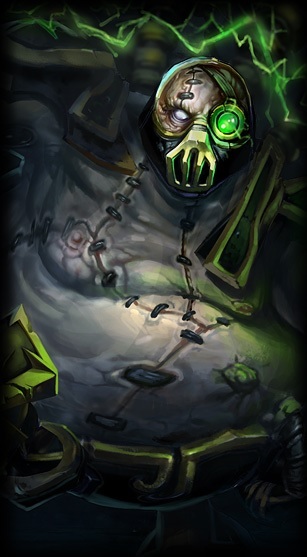 1 – Very few people know anything about Urgot, so they don’t know his moves or how to counter him. This would be equally true in any game mode. 2 – Because he is so unpopular, Riot has generally left him alone, so no major recent nerfs that I know of. 3 – He is a relatively durable champion despite his Marksman role. His base health is generous, he can pop his shield frequently, and his passive reduces opponent’s AD output. 4 – He is an AD champ, something that is super handy in ARAM to help bring down towers quickly. 5 – His bread-n-butter Acid Hunter has an amazingly short cool down, so with just a little more CDR in items, you can pop that puppy over and over and over. Add to that his passive that will reduce their damage output, the ability to lock on to a target (with increased range) if they’ve been hit by Corrosive Charge or slow them if he has his shield up, it’s just a total blast to poke, poke, poke and kill. Mana can be an issue early in the game with this play style, so I often start with Tear of the Goddess and boots. 6 – I think my favorite though is his ultimate. It suppresses your target for the duration of the channel and Urgot swaps places with them, so it is incredibly disorienting to your unwitting victim. It can place Urgot in a vulnerable position (plus the time to channel) so you need to be careful that you don’t do it in a crowd or under a turret when you are low on health, but it does grant a nice armor and MR buff, slows the target for several seconds after and it is just so much fun! As a regular ARAM player, I am thrilled that Riot is posting more info about those adorable Howling Abyss critters. And next time you’re in an ARAM match – DON’T FORGET TO FEED THE POROS!!! In honor of the Howling Abyss’ upcoming one year anniversary, we’re opening our art vaults and delving into the mysterious and magical origins of the map’s most-loved inhabitants: poros! RiotOtown, RiotEarp, and RiotCaptainLx have emerged from the art pit to shed some light on the adorable furballs and tell us how they brought them from concept to life! First off, what do you guys do at Riot? We’re on the environment team! RiotOtown’s a lead environment artist, RiotEarp’s a concept artist, and RiotCaptainLx is a senior animator. We’re just a few of the many creative minds that designed the Howling Abyss! Where did the idea for poros come from? While wrapping up the Howling Abyss, the entire team was on the lookout for something to balance out the Abyss’ cold, serious atmosphere. Unlike our other maps, the Howling Abyss had a very structural, linear cadence–it was literally a bridge without any fantasy elements, which didn’t feel very League. To counter this, the whole team brainstormed about cute and fun things we could add that would remain true to League and not take away from the map’s epicness. It was sort of tricky because whatever we added had to be noticeable without being too distracting–we didn’t want players confusing our little critter for a minion or monster they should kill! We wanted to create something furry that looked like it could survive through harsh weather, so RiotEarp looked to mountain goats, reindeer, and polar bears for inspiration. He sketched the initial poro concept art based on a cuter version of all of those things and we ran with it! Howling Abyss is the coldest and harshest place in all of Runeterra, so you can think of poros as the manifestation of whatever warmth, happiness, and love that still exists. After RiotOtown modeled and textured the very first poro, he and RiotCaptainLx decided to add a super huge tongue because the little guy reminded them of a puppy. Then, during the animation phase, RiotCaptainLx took it a step further and had the poro lick its whole face in one shot! With the tongue mechanic in place, he also animated the poro to run around panting with its tongue hanging out. We totally agreed that poros should pant just like that–they radiate with love, so they’re extremely hot despite the Abyss’ bone-chilling temperatures! How’d you decide on the name “poro”? RiotCaptainLx needed a name for the animation file that went up on the Public Beta Environment (PBE), so we tossed around a few options until we decided on poro, the Finnish word for reindeer. It sounded cute! It was supposed to be temporary, but we were stuck with it thanks to a small oversight on our part. Basically, a player posted online that he’d discovered the file name after pinging a poro in-game on the PBE. Players liked it, we liked it… so we kept it. How long did it take to create poros? About eight hours from concept to in-game on PBE. No joke. We never expected poros to become so popular or we probably would’ve overthought them! What else can you tell us about poros? Hmmm…let’s go over some fun tidbits! I bought some RP today during the Riot RP sale and snagged the newest champ, Vel’Koz. I was stoked when I immediately rolled him in ARAM post purchase. After politely declining several trade offers, I went into the match with zero experience playing him. First off, I personally think he is the most wicked-looking champion in game with his octopus-like arms waving as he glides across the field. Like most mages, he isn’t strong early, but once I got to about level 11, he really started to shine. He is also not a mana hog. I had purchased a Chalice of Harmony as one of my starting items and I never ran out of mana during the early game even though I was continually spamming my skills. I would guess he can farm like crazy on Summoner’s Rift with his W and I started playing with the angles of sending out my Q (it really does open up some interesting possibilities in terms of target). The biggest challenge I had playing him was getting used to his ultimate. It is channeled (so can be interrupted) and requires you to aim with your cursor but the difficulty is that you are rooted in place during the channel. This makes you not only extremely vulnerable (unless willing to cut things short and run) but is also a challenge to make sure you are within range before beginning (or even better, closer than max range so that your targets don’t just walk outside the beam). Regardless, it is quite fun to drag your cursor to continue dishing out the damage as an enemy futilely attempts escape. 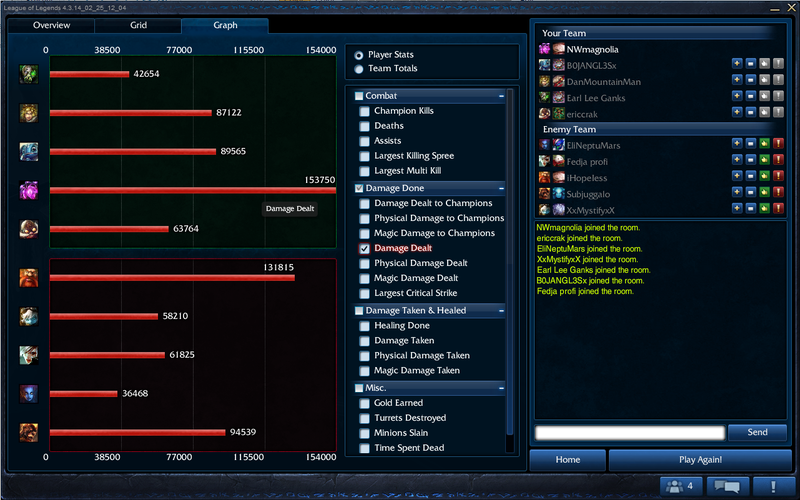 Of all the things I loved about playing him, though, the best is likely his overall damage output. I managed to blow away everyone else on the field with 153K damage in a 30-minute match. I am guessing that the addition of the true damage due to stacks of Deconstruction is a big part of that. Odds are that the nerf gun will eventually clobber him but I would highly recommend picking him up for a change of pace and the fun of piling up loads of damage. In my quest to improve my Classic gameplay, I found this forum post from February of 2013. A nice history of the meta game in League up through Season 2. Would love any suggestions on similar or better or more current sources of info of this type. Super helpful to me and I find it fascinating.